Inspired by the traditional neoclassical glass chandelier , with curl glass arms and irregular swirls, Vezzini & Chen have created a forest of frosted glass arms harmoniously join with elements from their iconic Geo pendant light. 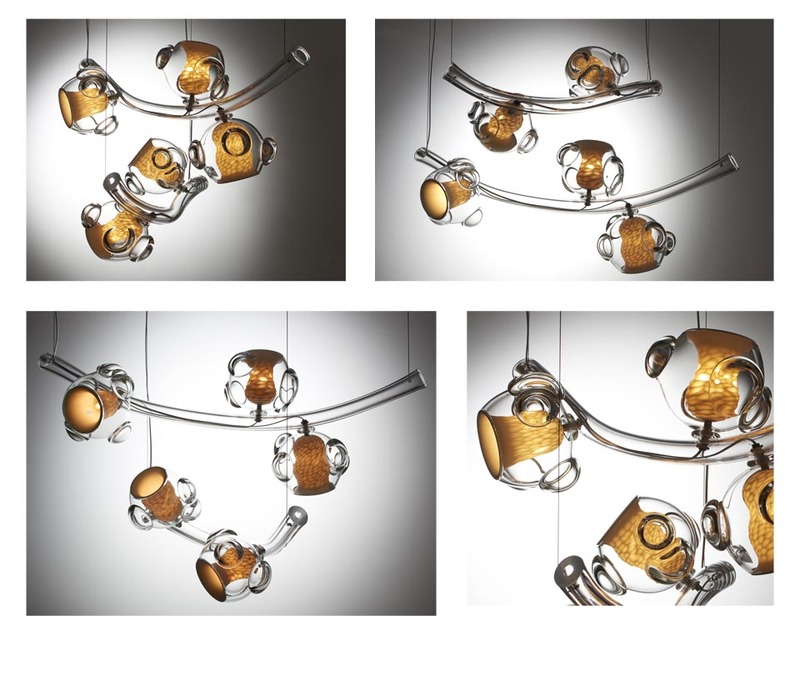 Hand blown glass spheres sit on curve glass arms, like buds sprouting from the branches of a tree. In each sphere a ceramic core, individually hand carved, houses the light. The organic textures of the ceramic elements diffuse the light, creating delicate patterns of light and shadow, like a streak of light that radiates from the sun shortly before sunset and shines through trees in a forest. The ‘bubbles’ emerging from the surface of the glass sphere distort and magnify the inner ceramic forms , giving a further level of movement and creating a visual dialogue between the different layers and the two materials. The final effect reminds the warm light of crepuscular rays giving an element of wonder to any space. 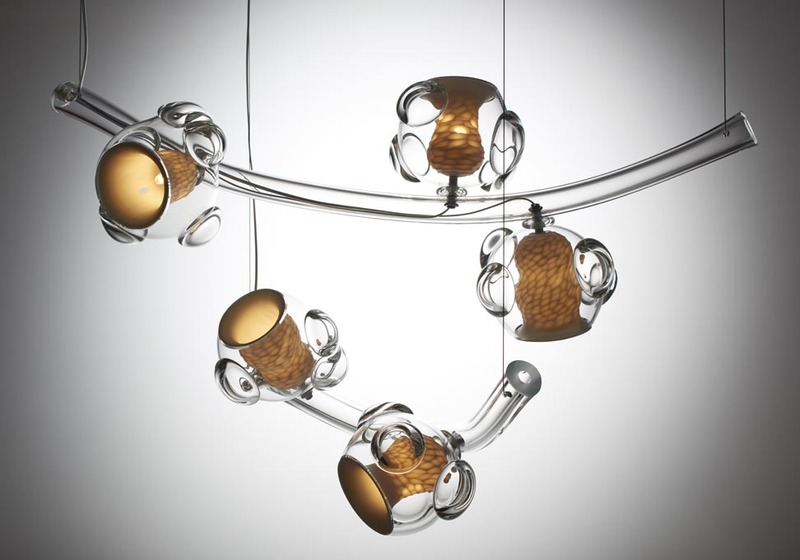 Each Lights is completely bespoke as well as it’s composition.